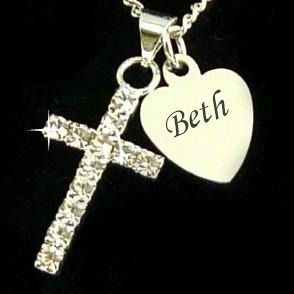 Engraved Necklace with Cross Pendant and Heart. 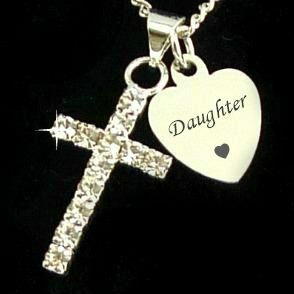 This lovely necklace has a sparkly cross pendant which hangs over an engraved steel heart. 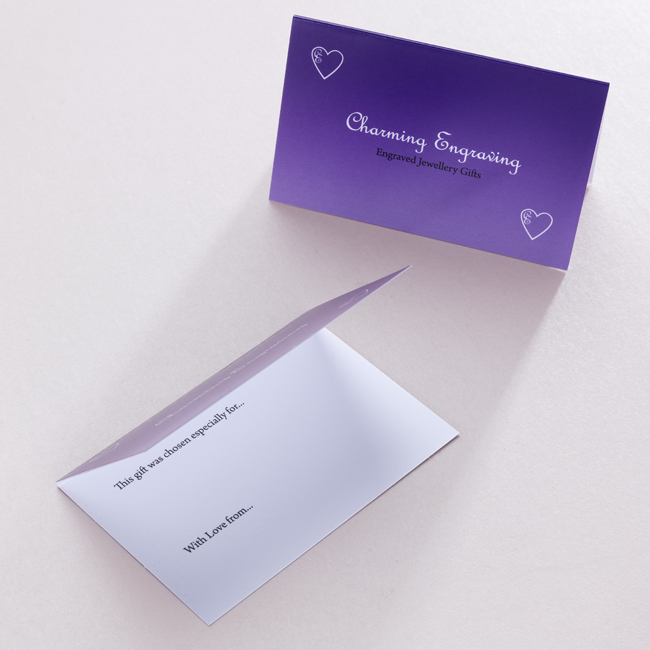 Perfect for engraving special names, dates, or other meaningful words. All engraving is included in the price. Up to 18 characters per side can be engraved. A high quality Stainless steel heart hanging on a strong silver plated necklace chain, silver plated cross pendant with Czech crystals inset. Lengths: 14" to 22". The heart is 14mm x 14mms. Presented in a black, padded and hinged gift box with a mini gift card included. 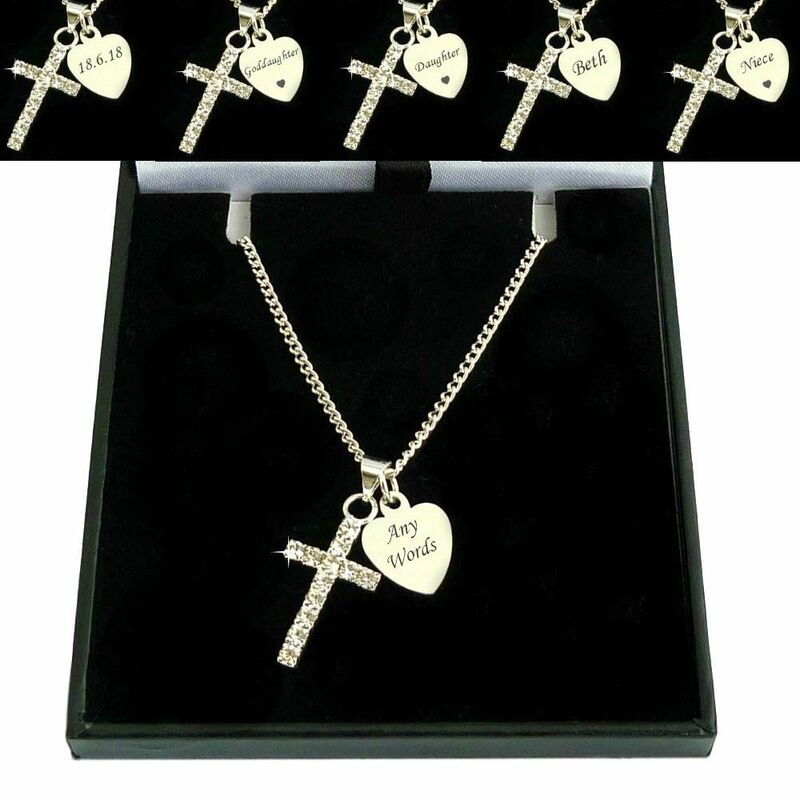 Part of our collection of Religious jewellery gifts suitable for christenings communions and other special occasions.